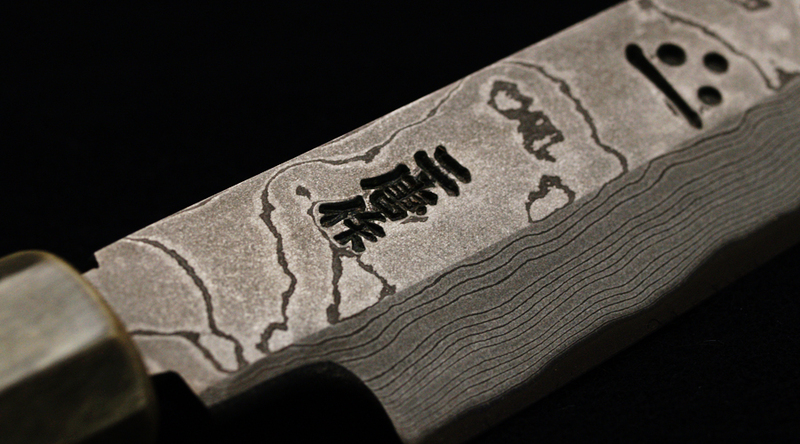 ANMON project Japanese knife Nigara Forging Co., Ltd. 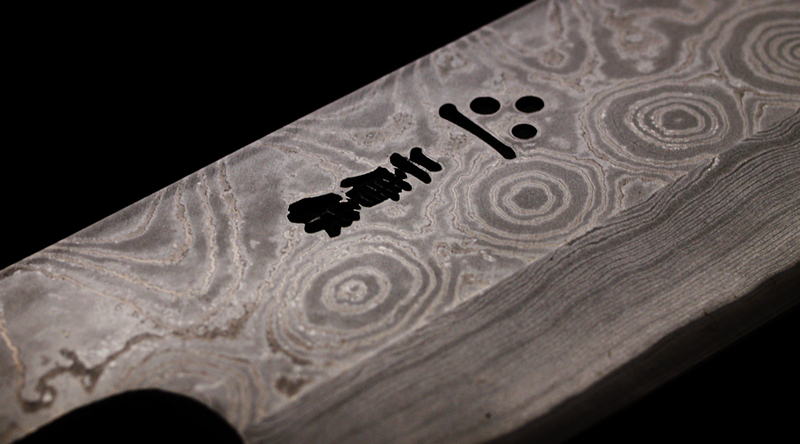 The ripple markings on our fine polished steel, distinctive of Tsugaru forging, “Anmon”, is a original technique of the Nigara Forging. 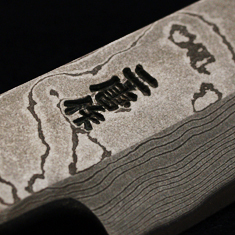 The “Anmon” design was inspired by the rippling water of the Anmon Waterfalls, cascading from the foot of the World Heritage Shirakami Mountains adjacent to the city of Hirosaki. Old growth beech and pine encompass the Anmon falls where the cool mountain stream cascades down from the precipitous rocks above. 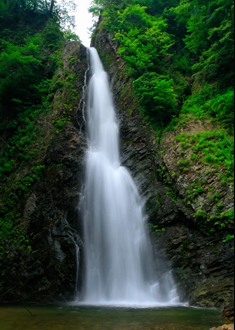 The sight of the rippling waterfall has enchanted its visitors with its mystical power. 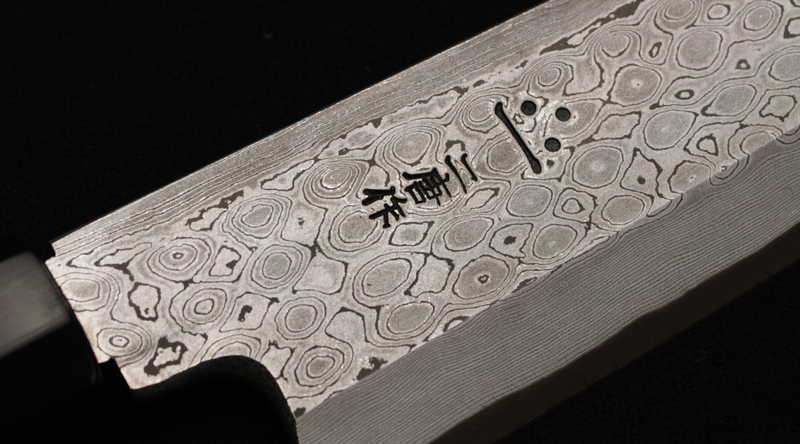 The ripple design on our products comes only after forging 25 layers of steel, resulting in a sharp and durable blade, resistant to rust. 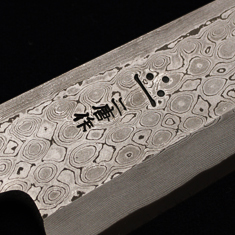 No two blades have the same markings, as each is made carefully by hand. 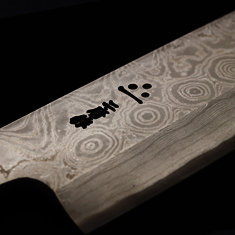 We are confident our knives, without equal in the world, will fascinate and impress. 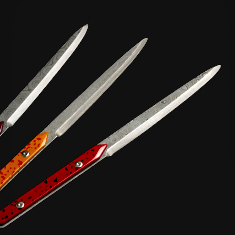 The Anmon Paper Knife is a convergence of our Anmon technique and Tsugaru Lacquer-making. Tsugaru Lacquer Ware is a traditional craft mainly produced and sold around the city of Hirosaki.